For fifteen summers, the Beaubears Island Interpretive Centre has been a gateway into Miramichi’s storied past, as locals and tourists alike journey through time and meet the men and women who put Beaubears Island, and the Miramichi region, on the map. This year, the Friends of Beaubears Island invite you to take part in a captivating experience unlike any other. Discover the Island’s stirring history and hear stories of First Contact, the struggle of the expelled Acadians, a century of shipbuilding and the history of Nelson-Miramichi. Our centre utilizes touchscreen and Smart Board technology to enhance the experience of the visitor and promote interactivity. Wondering what the tour is all about? 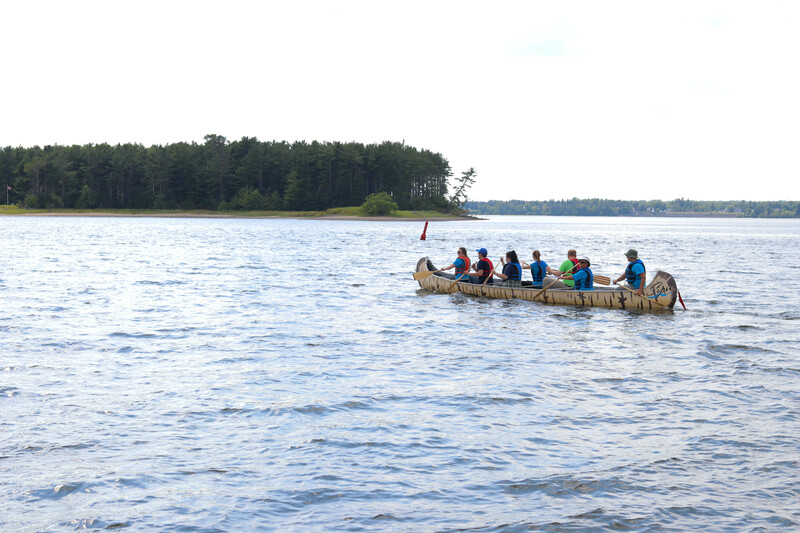 The history of Beaubears Island spans thousands of years, beginning with the early First Nations people who fished and hunted on the Island. In the mid-1600s, they welcomed the first French settlers to the area, who had come in search of fish and furs. During the 7 Years War, Acadians living in Nova Scotia, New Brunswick, and Prince Edward Island were expelled from their homeland by the British, and Beaubears Island acted as a refuge for hundreds of these Acadians. After 1765, the first English-speaking settlers arrived in the Miramichi area and under their ownership, Beaubears Island emerged as an important shipbuilding site. Today, Beaubears Island is a peaceful piece of land whose eventful history has been concealed by time and nature. Our knowledgeable tour guides and colourful, costumed characters will help you discover just what made Beaubears Island such a central part of Miramichi’s history.